Hey hey! Jenn here, and I’m glad you found me and connected with something that you read or saw from me. My goal is always to reach and help as many people as I can. Yes, I do have a coaching program with clients from all over the world. I’ve had clients from all over the United States as well as in Canada, Qatar, the Philippines, Dubai, Czech Republic … you get the idea. The first thing you should go do is to follow me on Instagram and Facebook. Look for my weekly Saturday post where I list all of my client weigh-ins. It will include all clients that I train locally at my studio as well as clients that train with me online. My online clients will have (virtual) at the end of their names and you’ll see they put up the same impressive numbers as the local clients! Watch some client testimonials to hear some examples of what it is like to train with me virtually. This program isn’t just something you try out to see if you like it. This program has a full six-month commitment regardless of what your goal is. Yes, the program is about getting you to your goal, but what it’s also really about is providing you with a good education, and helping you to form good habits that will make it so much easier for you to maintain that goal! I expect all of my clients to be fully committed to all aspects of what this journey entails. This program is about education, lifestyle and forming better long-term habits! Statistics prove that when you practice something for six months or more, you’re more likely to make it a lasting lifestyle change. A requirement for all of my clients that train in the studio and with me virtually is to purchase and use a Polar heart rate monitor. I prefer the Polar FT7 model or higher. A great choice is the Polar A370 Fitness Tracker. This model tracks your activity/HR 24/7 including sleep analysis, and also doesn’t require the chest strap. It is a bit pricier than the other model, so go online, compare the two and choose what is best for your budget! I definitely recommend making this purchase on the same day that you sign up for this program to give it time to ship, for you to get acquainted with how to use it and make sure you are all set and ready to get started on Day one! This program is perfect for people from all walks of life. It’s perfect for those who can’t make it to the gym, those with busy schedules with work and kids. 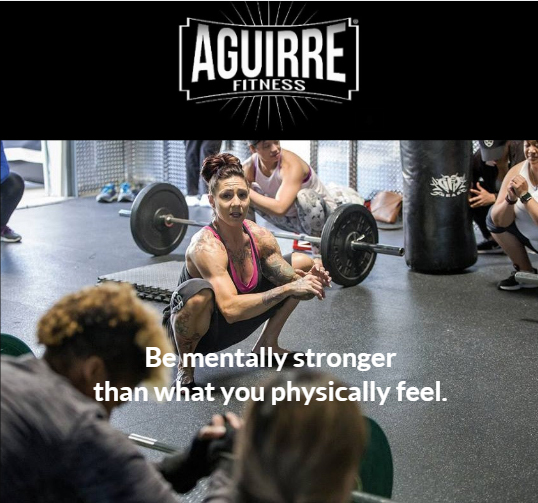 It’s great for people who need help and support breaking their emotional connections to food and people who need help managing any medical conditions such as Crohn’s disease or other stomach problems, diabetes, body pain, thyroid problems etc.. Or because you simply can’t make it into my studio because of location or schedule conflicts. This program can help with any goal. Whether your goals are for weight loss or weight gain, to have more definition, how to safely train during pregnancy, or just for overall health improvement! I have trained 18 women through their pregnancies. Two of the women I trained through two pregnancies each, and three of these women have been through this exact program. You can do these workouts at the gym but you can absolutely also do these workouts from home. As long as you have access to some dumbbells and resistance tubes they can be done anywhere. As you watch the workout videos you can write them down and then do them wherever you choose. I am looking for some guidance but I already work out pretty regularly. Is this program right for me? There are 29 phases on the website. Each phase is a different level and lasts about four weeks. But not everyone will stay on each phase for that long, and not everyone starts on the first phase. I will start you out on the right phasefor you. Which we will determine before the coaching call. For example, I had a 71-year-old client that started out on phase one, a female client located in China who started on phase three, and a male client located in New York who started on phase eight. I’ve also had a client who started out working with me in the studio but then moved away and decided to start this online program, this client started with phase ten. As soon as you click the buy now button your first payment will be processed. I will then text you to ask for a picture of you holding the heart rate monitor. Once I get that, we will set up your call and I’ll send you a questionnaire which will help me determine how to design the program specifically for you! There are no “cookie-cutter” templates. After the call is set you will receive a number of emails containing study materials at least eight days before the call actually takes place. This gives you enough time to study all of the information you will be receiving. In these emails, you will receive instructions on how to study and instructions about the information I need to receive from you prior to the call such as how to take your measurements and pictures, and your initial weigh-in. You will also receive access to where the workouts are located and your meal plan. There will be plenty of reading for you to do and about 20-30 videos to watch before the call and before you email me the information I requested from you. You will send that information to me on the day before the coaching call takes place. You sign up and pay for the program. There is a lot of information that you will be consuming during this time, but keep in mind this is only a one-time call and you will only be spending this amount of time studying during this phase before you start the program. The coaching calls usually last 1-1.5 hours depending on the number of additional questions you have for me. Another important thing to take into consideration is the time between when you purchase the program and when the coaching call takes place. It’s possible that you could purchase the program today but your call isn’t scheduled for another 3-4 weeks. But do not worry, you will not lose this time! Your remaining payments will not begin to be processed until 30 days from the day we actually have the call. 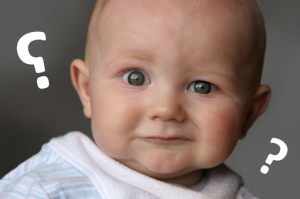 Your program officially begins once we’ve completed your coaching call but communication doesn’t end there. You will be communicating with me every day. One more time and emphasized for clarity EVERY DAY. I wake up every morning between 3-5am PST to critique my client food logs that you will also be sending me. You are then required to respond every day to confirm that you read my response and to make any corrections if needed. If the number of emails I have to critique exceeds the time I have available to complete in one session, I will finish critiquing the rest of the emails in the afternoon. I will let you know which block of time I will be checking your particular food logs, but regardless when I will be reviewing it, you are required to send them at the end of every day. In addition to daily food logs, you will also be sending weekly measurements and weigh-ins, which we will discuss during the initial coaching call. So what is the financial commitment? As previously mentioned, the first payment will be processed as soon as you sign up and enter your information. The remaining five payments will not be processed until 30 days after we have completed your coaching call. Thank you again for your interest in training with me. The last thing I will leave you with is that for this program to really work and the ONLY way that I can guarantee results is if you do exactly as I instruct. You’ll need to adopt the – “I’ll do whatever it takes” kind of attitude. This isn’t the program for you if you aren’t prepared to fully commit. This is a very serious program for serious people. Now with that said, let’s change your life and begin the process of getting you feeling and sleeping better and into the sickest shape ever! But wait, I really want to help you reach your goals. Are you thinking that you really love this program but right now it doesn’t quite fit into your budget? Or maybe this program sounds perfect but you don’t feel you need the accountability 7 days a week? If you are looking to make consistent progress and see results without the daily accountability, I have a moderately less involved program. Keep reading to get the details. What is different between the weekly program and the full coaching program? The main difference between this program and my full coaching program is that you don’t have the opportunity to communicate with me on a regular basis through daily check-ins. Another key difference is that there will not be a coaching call set up before you begin the program. You may see some information about that future emails, but that information will not pertain to you. You will still get the same level of personalized meal plan along with your personalized resistance training protocol including all of the same study materials that you would get with the full coaching program. Despite not having the accountability of daily check-ins, you can still text me when you have questions. You will be provided with a lot of information but there are always questions along the way. I am here to help educate and help you make better decisions and long-term lifestyle changes. How do you evaluate my progress without the daily emails? 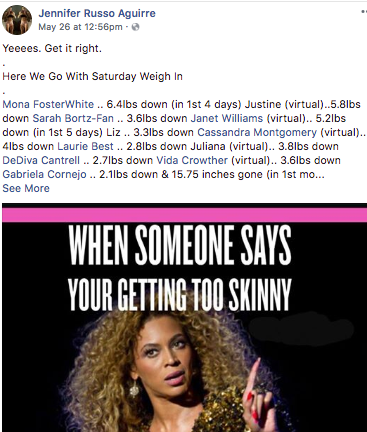 Instead of checking in with me daily you’ll be checking in every week on Friday night, and then again on Saturday to send me your weekly weigh-in results. I will review and critique your email and respond by that Sunday, at the latest. You will send me your ‘before’ pictures and measurements at the beginning, and then based off of my assessment and the plan created specifically for you, I will determine how often you will send me updated photos and measurements. For some clients that is every two weeks, for some others, it’s only every four weeks. It is really specific to each client and their unique situation! There will also still be opportunities to make changes or updates to your meal plan throughout the program if I decide it is necessary. There may be possible changes to your training style throughout the program as well. Again, it is different for every client based off of their unique situation. As soon as you click the button your first payment will be processed. I will then text you to ask for a picture of you holding the heart rate monitor. Once I get that, I’ll send you a questionnaire to gather some information from you which will help me determine how to design the program specifically for you! There are no “cookie-cutter” templates. After I receive your answers to the survey, I will create and send a program designed specifically for you along with materials for you to read/study. You’ll have a few days time to complete all of this as well as send in your “before” photos and measurements. Then, you will most likely, unless otherwise noted, start on that following Monday, which will mark the official beginning of your first month on the program. You receive and respond to the questionnaire needed to create your program. You receive and study the materials and watch all of the videos. You will send me your ‘before’ pictures and body measurements (instructions on how to do this will be provided). From here I will determine how often you will continue to send in progress photos. You will respond to let me know you understand how your weekly check-in process will work. You will officially start your program the following Monday. The cost of the program includes a one-time setup fee for me to create a meal plan specifically for you and to determine your training plan. After that, it is five payments of $199 that will be processed monthly*. *starting on the Monday when your program officially begins. 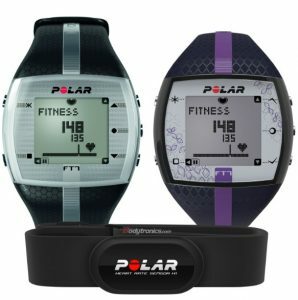 *NOTE: All of my clients are required to purchase and use a Polar Heart Rate Monitor. Scroll up to see the section with the watch image explaining this further. Thank you again for your interest in training with me. Whether you choose this program or the full coaching program, you will see results if you put in the work and follow my instructions. Let’s do this!